When I made this project last month, I promised a tutorial. So here it is! The original purse belonged to my grandmother but I mostly remember my mother using it to hold her crochet projects. 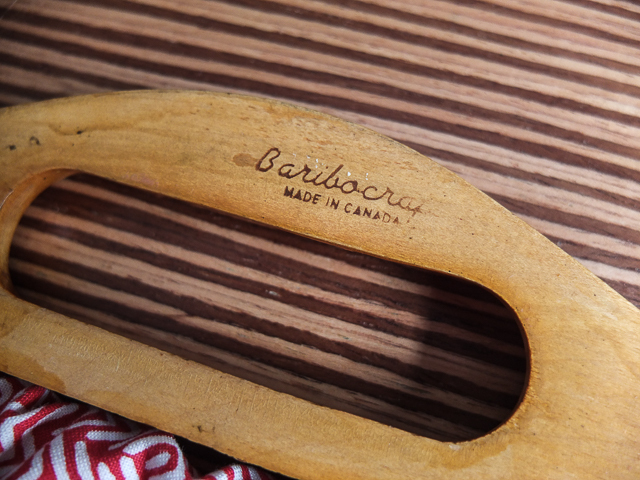 She recently passed it along to me, and I love those vintage "made in Canada" wooden handles, but the orange had to go. So I swapped it out for this gorgeous red Dear Stella print. If you want to make something similar, follow along! Obviously the wooden handles are quite specific, but they are certainly easy to find in thrift stores, craft supply stores or Etsy and all you would have to modify is the width. 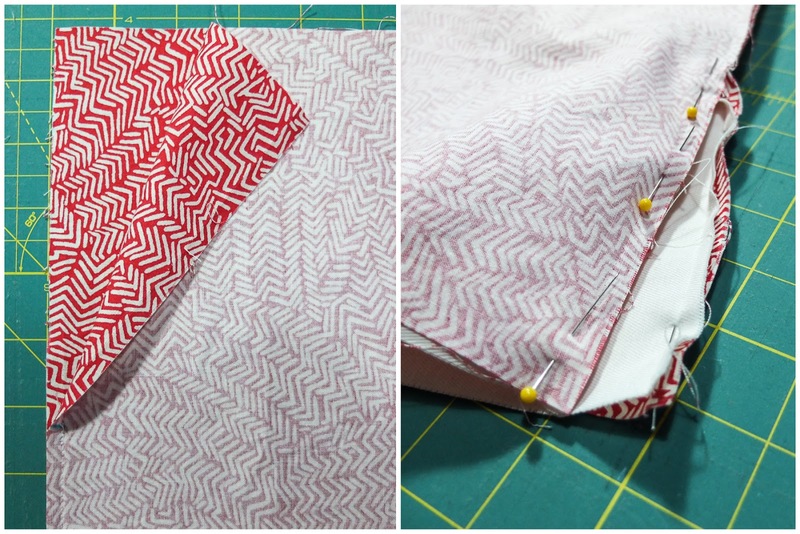 With your fabric folded, square it up and cut the length to 16". Now measure your purse handles. You want the bottom to extend out a little, so cut to a width that is 4" inches longer than the handles (2" for each side). So, my piece was cut to 16 x 16-1/2". 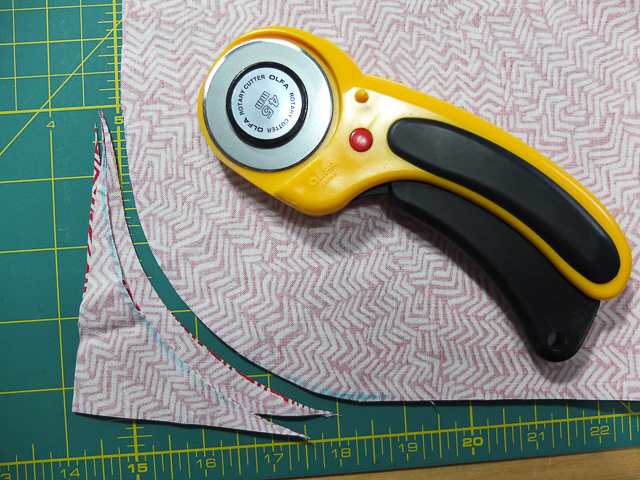 To make the corners curved, I find it easiest to trace something in your house that makes a nice-looking curve. I used an old embroidery frame here, but a small plate works well too. Trace the curve and cut. 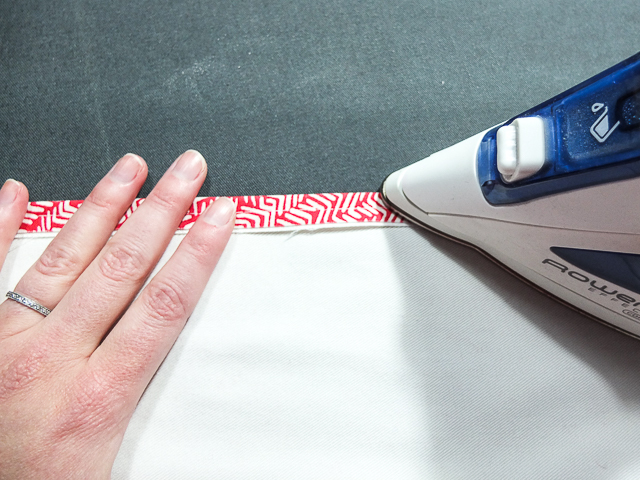 Then fold your piece in half lengthwise, trace the curve onto the opposite side and trim. 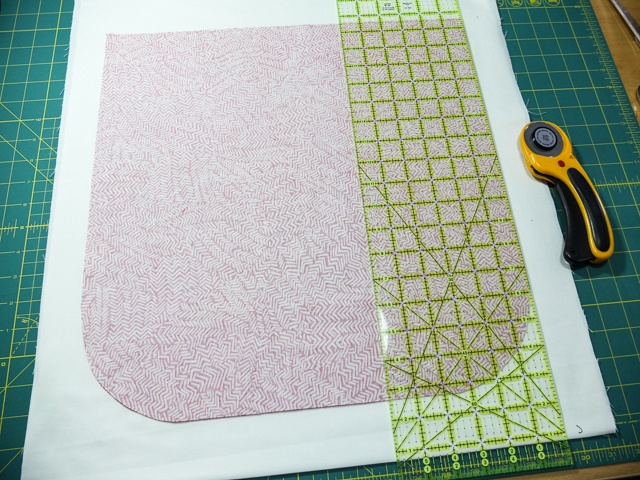 Now use that piece as a pattern to cut out your lining. Or vice versa, depending on which fabric you started with. 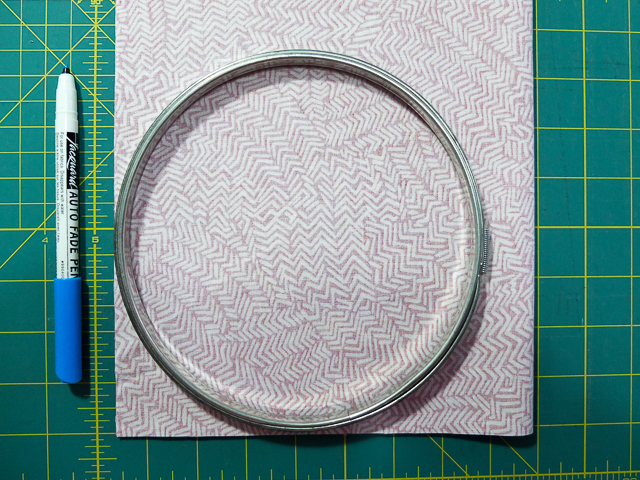 With right sides together, measure down 6" from the top and make a mark with either a pin or disappearing ink. 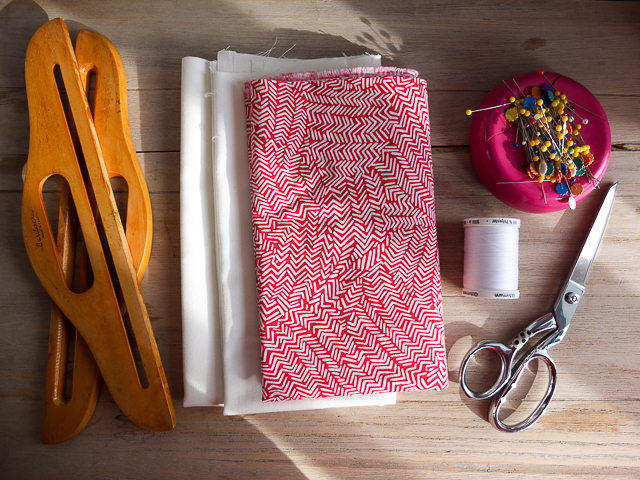 Do this for both the left and right side and for both your main fabric and your lining. 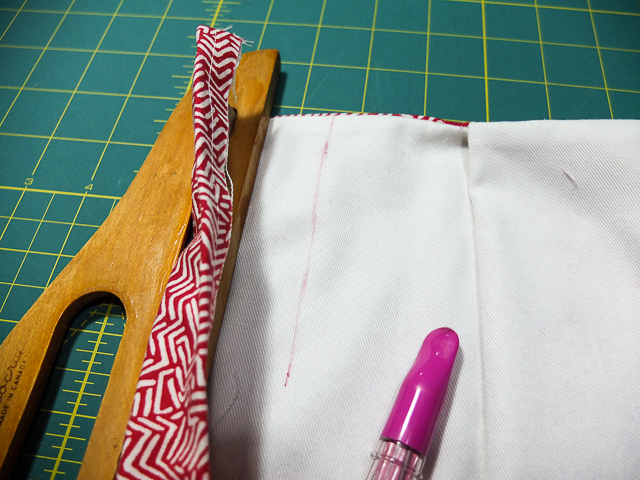 Then stitch around the purse with a 1/2" seam, between the marks. Slide the lining inside the main fabric, right sides together and pin the two together along the 6" opening, as shown above. Stitch with a 1/4" seam. Turn the bag right side out. 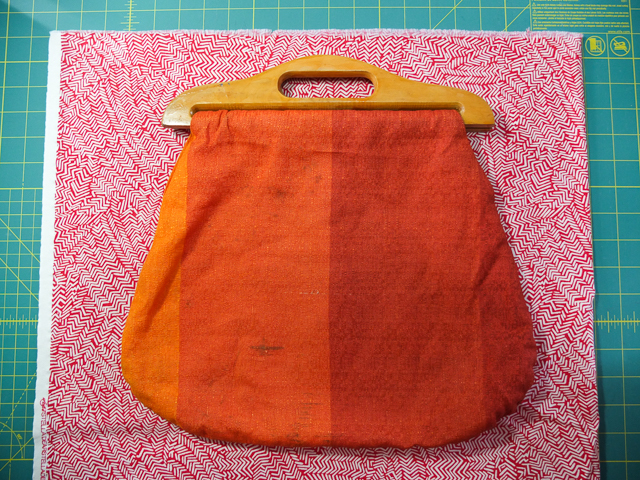 Baste the main fabric and the lining together along the top of the bag. Fold the top down 1/2" and press. 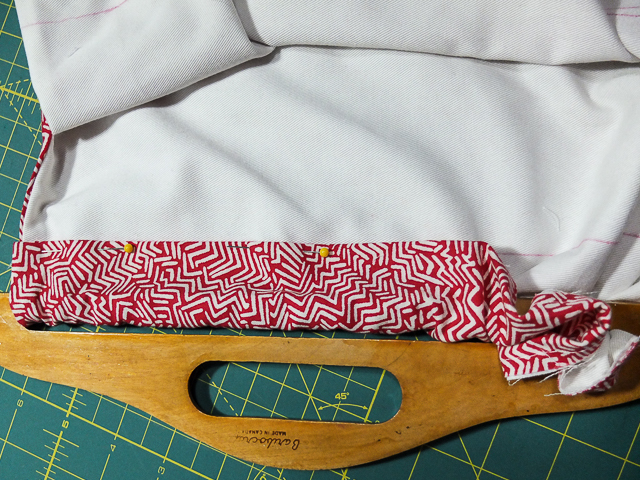 Now feed the top through one of the handles, so that there is just enough room to stitch a 1/4" seam. Test it on your machine — the foot probably takes up more room than you think. Mark this sweet spot with a line. Measure it and duplicate it for the other side. 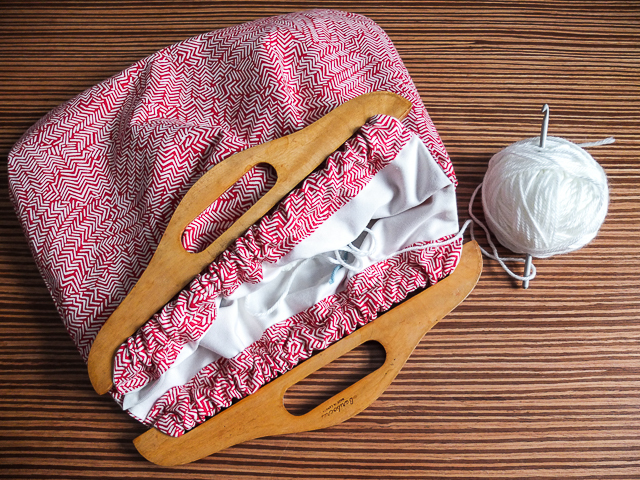 Now pin along that line and sew. 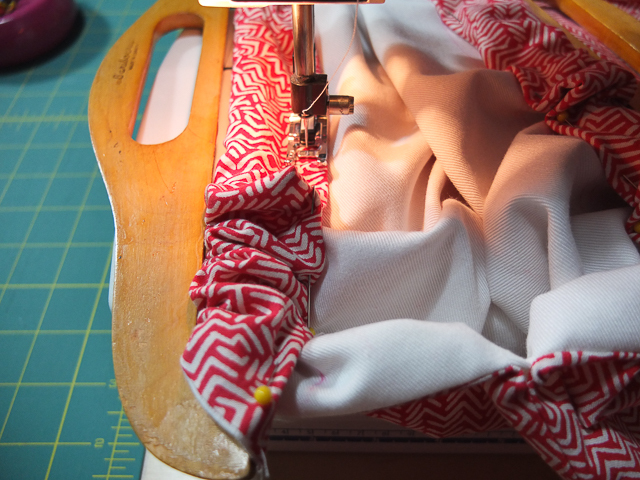 It's always easier to sew in a straight line with a guide. 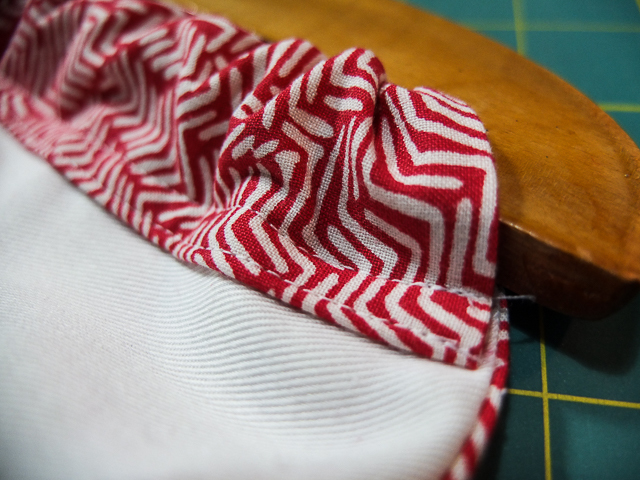 So for this project, for my first seam I simply lined up the folded edge with the right side of my presser foot. On my machine, that results in a seam that is a little bigger than 1/4". The gathers can be cumbersome. 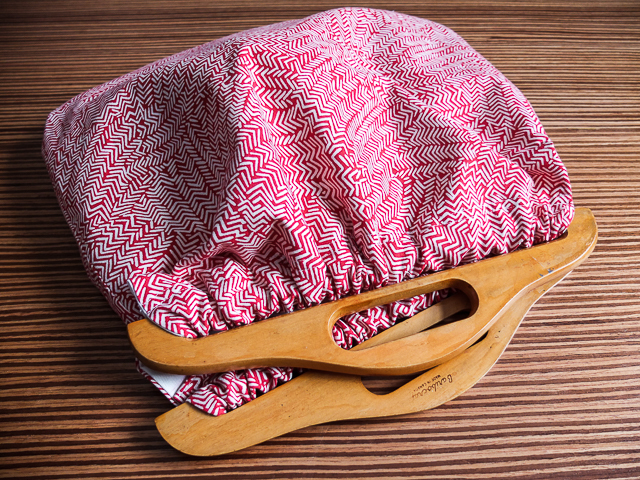 You will need to go slow, flattening out small sections at a time, shifting the handle along as you go. I went over it again with an edge stitch, which gives it a more polished look. And there you have it! 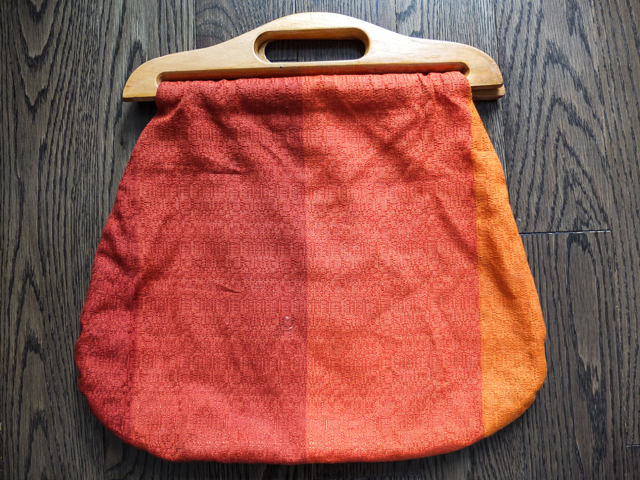 A roomy bag for transporting your crafts. With the right fabric, it would make a fabulous purse too. Whatever you decide to make, I'd love to know, so please tell me all about it in the comments below. Feel free to ask me any questions you may have, as well. I'm sure all the instructions aren't perfectly clear to all. 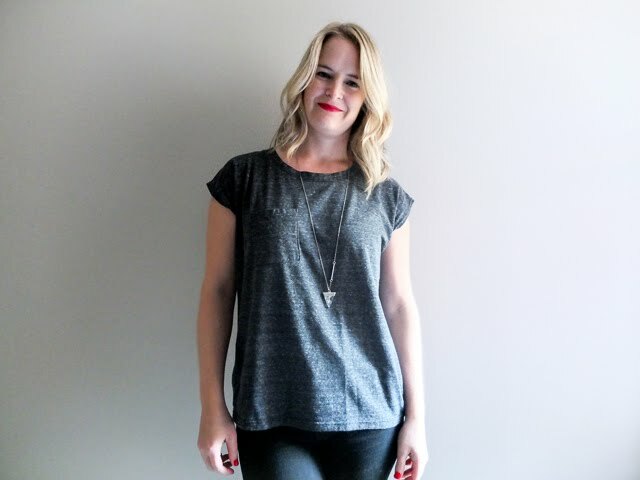 I am so excited to find this even though it is 2 years since it posted! I had an instruction sheet from JoAnn's for a laptop purse I was going to make for a gift and recently bought the wooden handles, which look exactly like yours. The instructions were terrible and it didn't go together well at all - and I've been sewing for over 40 years! I was thrilled to see such clear directions along with visuals. I am going to remake it and I am sure it will come out great. Thank you! 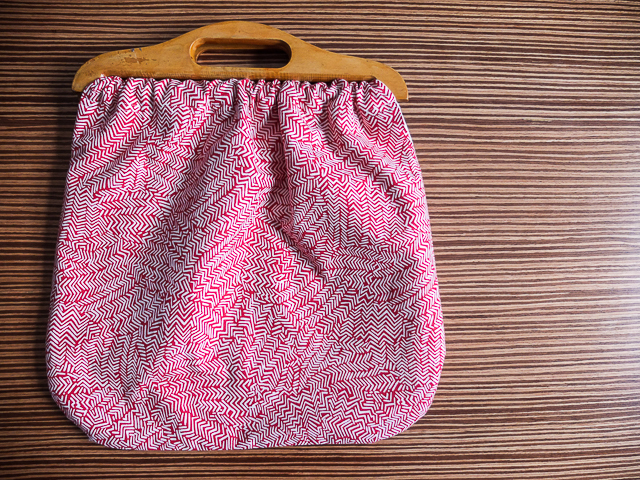 Thank you for this tutorial, I wanted the "old fashioned" style of knitting bag to make as a gift and this is just the job, as we say in my part of the world.